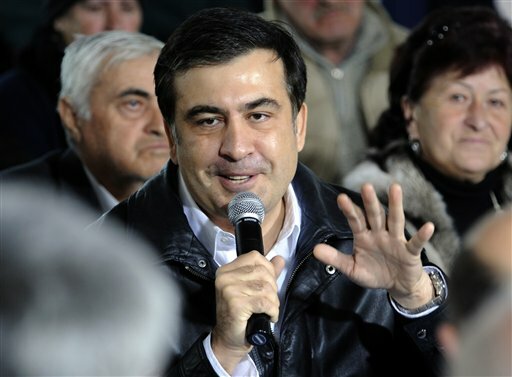 TBILISI, Georgia — Georgia’s opposition politicians on Monday denounced the government over a hoax television broadcast that said Russia had invaded and the president had been killed. The broadcast Saturday, which simulated a news program, sparked wide anxiety in Georgia, which is still traumatized by the August 2008 war in which Russian troops advanced deep into the country. Cellular phone networks briefly went down as panicked Georgians phoned each other. The show was identified as fictional only at its beginning — which many viewers apparently missed — and its end 30 minutes later. Imedi, the station that aired the show, is private, but its director is a former chief of staff for President Mikhail Saakashvili. Opponents characterized the broadcast as government propaganda, aimed at discrediting them. The fake news report aired on Georgian TV was a provocation aimed at jeopardizing regional stability and security, a Foreign Ministry spokesman said on Monday. The Imedi TV channel sparked panic in Georgia on Saturday with a broadcast that said Russian tanks had invaded the capital and the country’s president was dead. “The provocative TV show has caused tangible damage to security and stability in the region, significantly heightening the intensity of an already complex situation,” Andrei Nesterenko said. Imedi head Georgy Arveladze said on Monday that the special report was a warning against a possible danger. “Our objective was not to scare society but to show the dangers facing our country,” he said. He added that he assumed full responsibility for the report and apologized for its negative consequences. 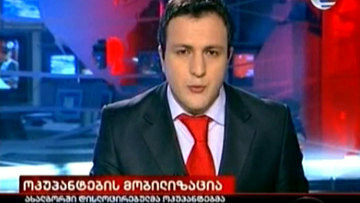 The Georgian government immediately moved to calm public fears caused by the report, which intended to illustrate a studio discussion on the chance of a renewed conflict. “I can say with confidence that, on the declaration of the president, real danger, which was imagined in the transmission… does not currently exist for our country,” a spokeswoman for President Mikheil Saakashvili said in the Imedi studio shortly after the broadcast. Both Abkhazia and South Ossetia, which Russia recognized as independent in August 2008 after its forces repelled a Georgian attack on the latter republic, dismissed the TV channel’s stunt. Abkhazian President Sergei Bagapsh called the fake news report “tremendous idiocy” that warranted no attention at all.